The tallest mountain range in the world — the Himalayas — are part of a region known as the “Third Pole.” These mountains, alongside the Tibetan Plateau and the Hindu Kush Mountains, are home to the largest permanent ice mass outside of the Arctic and Antarctic. But unlike the far north and far south, the Third Pole, spanning 5 million square kilometers, has direct impacts on a huge slice of humanity. More than 40 million people live in the Himalayas, and nearly 3 billion people live in the river basins that flow from the ice in the mountains. Now that ice is melting faster, with sometimes deadly consequences. 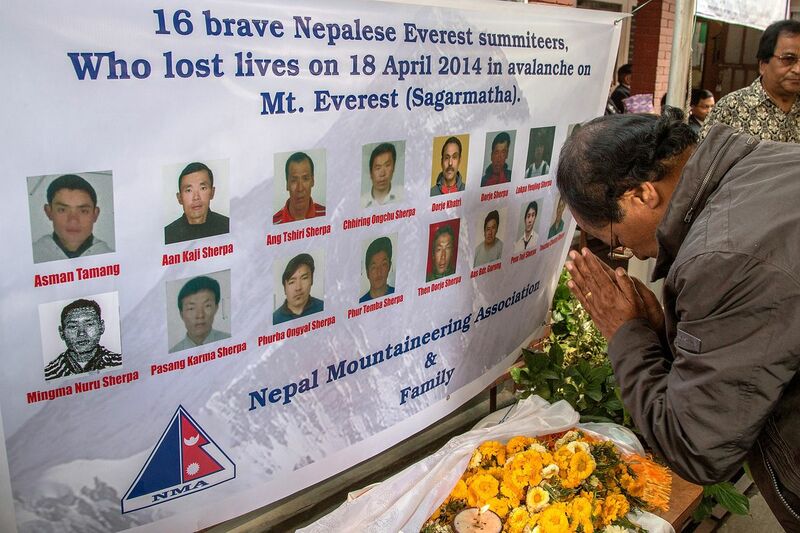 In 2014, 16 sherpas were killed in an avalanche on Mount Everest. Another 22 people were killed in avalanches after an earthquake struck the region in 2015. We’re seeing deadly avalanches in other parts of the world as well. Already, the National Avalanche Center has counted 16 deaths due to avalanches in the United States this year. Four skiers were killed in an avalanche earlier this month in the French Alps. And a volcanic eruption triggered an avalanche that killed a skier in Japan in January. Scientists anticipate that the likelihood of avalanches will increase as average temperatures go up and have previously found that avalanches in North America and Europe are sensitive to rising temperatures. But until recently, the Himalayas were a conspicuous blind spot for avalanche activity, according to Juan Antonio Ballesteros-Cánovas, a researcher at the Institute for Environmental Sciences at the University of Geneva in Switzerland. 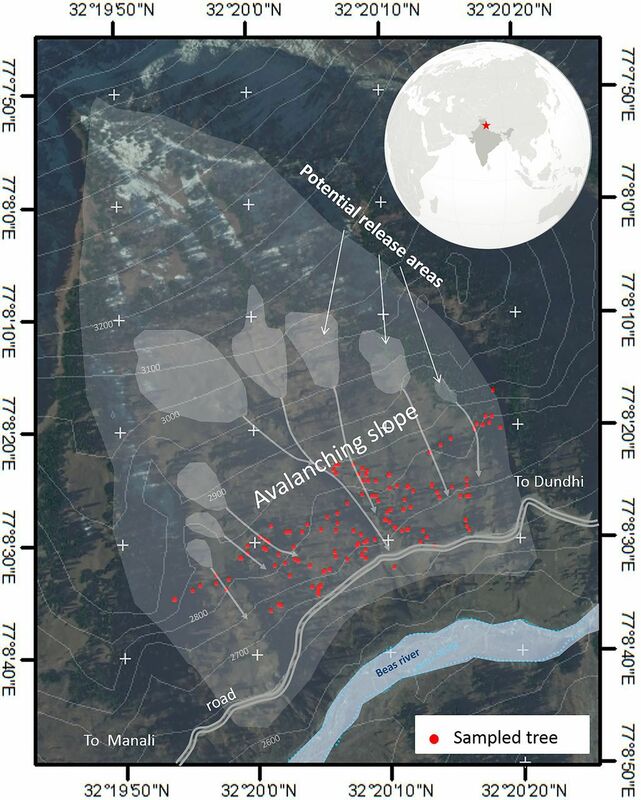 In a peer reviewed report this week, Ballesteros-Cánovas filled in some of these blanks and found that warming temperatures are increasing the risk of avalanches in the Himalayas as well. These monstrous cascades of snow and ice are yet another a harbinger of the slower, more impactful threat from climate change, and a vivid example of how subtle alterations in the global climate can lead to sudden, severe impacts. Some of the biggest shifts stemming from climate change are occurring in what scientists call the cryosphere, the regions of the world where water freezes seasonally, like the ice caps or mountain peaks. The Arctic, for example, is losing ice at its fastest rate in 1,500 years. Mountains are also warming, at a rate twice as fast as the global average. The Intergovernmental Panel on Climate Change warns that this will lead to more avalanches as the planet warms and is planning a report, due out in 2019, focusing specifically on climate change impacts mountain communities. To start figuring out how climate change is affecting the slopes, Ballesteros-Cánovas and his team constructed a record of past avalanches in the Western Himalayas by examining tree ring records. Torrents of snow can knock over, bruise, or injure trees in ways that show up on tree rings. Comparing these anomalies among the tree population allowed the scientists to tease out where and when avalanches occurred. 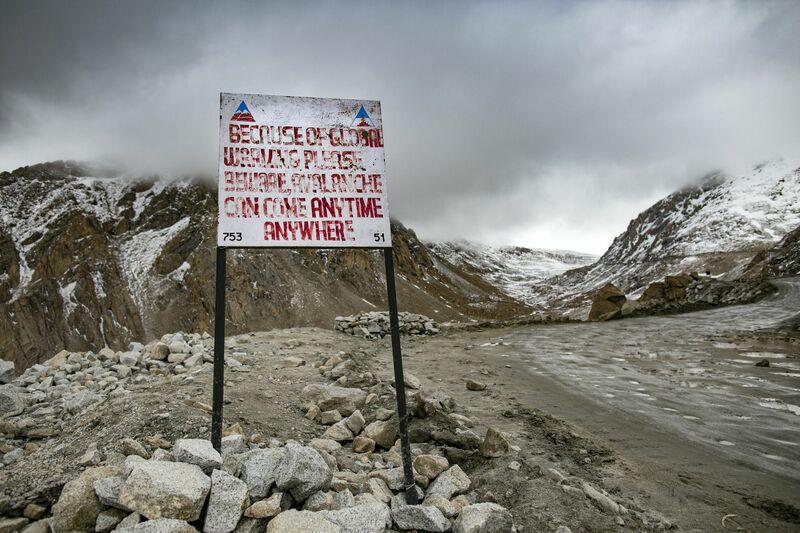 The likelihood of avalanches has increased in the Western Himalayas. 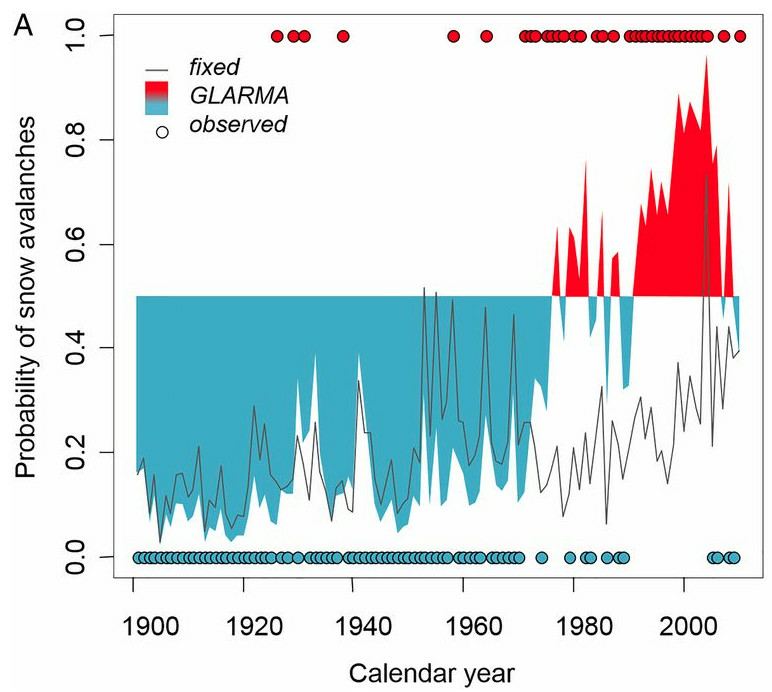 Red dots indicate years with avalanche activity, and blue dots indicate years without avalanches. The dynamic is simple: Warmer temperatures in the winter and the early spring lead to wetter snow, which has less friction, so it slides downhill more readily. Rising temperatures are pushing the number of avalanches up. But the frequency won’t continue rising forever — after a certain threshold, the number of avalanches is limited by the speed with which snowpack accumulates. And with snowfall declining, accumulation will be slower, eventually capping the number of avalanches possible. So look on the bright side: Climate change-driven avalanches will only continue until climate change dries up all the snow. It’s a problem that solves itself. Until the next one.